For more than 10 years, Bluewater Vacation Homes has earned its reputation as a premier vacation rental management company in San Diego. Bluewater consistently exceeds guest expectations and delivers proven results for homeowners. A focus on high standards for homes and first-class guest experiences keeps homeowners happy and guests returning year after year. 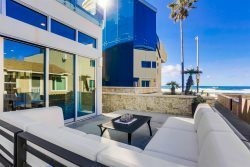 Bluewater Vacation Homes is a full-service vacation rental agency specializing in luxury and upscale homes in coastal San Diego. We only represent top-quality homes and partner with like-minded homeowners who understand the importance of a well-maintained and furnished property. Discover what makes Bluewater unique among vacation rental management companies. Bluewater was founded in San Diego, and our entire team is based here. We are experts on the area, allowing us to offer guests insider tips from a local perspective. The Bluewater office is located in the heart of coastal San Diego just minutes from our vacation homes, and we can respond to any issue in a moment’s notice. In addition to rigorously screening guests, we strictly enforce our Good Neighbor agreement and rental policies to prevent problems before they happen. Bluewater enjoys an excellent reputation both online and offline. We have built our reputation in San Diego by consistently exceeding guest and homeowner expectations. Our team of experts is integral to the success of Bluewater. Members of the Bluewater team are trained specialists in property care, homeowner services, guest services, and sales and marketing. As a homeowner-partner, you’ll enjoy a full range of vacation rental management services, maximum rental revenue and the peace of mind that your home is receiving the highest level of care. Each member of the Bluewater team is an expert in their field and specializes in a specific function to ensure every area of property management is covered. Routine maintenance is scheduled, and repairs are made by skilled technicians at a discounted rate. We never include markups on invoices. We don’t rely on housekeepers to report problems. We employ inspectors to ensure our vacation rentals are kept in top condition and any potential issues are identified. Well-trained housekeepers clean our rental homes before every reservation and complete inspections after every departure. In addition, daily housekeeping services are made available to guests. If you have a question about your home, you’ll receive an answer from our team with one call or email. We utilize the latest tools to track revenue and occupancy in order to optimize rates and maximize income. All funds are held in a trust account and income disbursements are remitted monthly. Our team handles accounting services including taxes, bill payments and licensing. You’ll receive a login to access your home’s reservations, calendar, maintenance reports, and monthly and annual statements. In addition to online reservations, knowledgeable local reservationists respond to inquiries and process reservations by phone, email or live chat. We utilize proven strategies to optimize marketing, create exposure and generate bookings. Rental homes are listed on all major channels including Airbnb, Vrbo and Booking.com. To make your vacation rental more desirable, our team conducts property assessments and offers recommendations on upgrades, amenities, décor and furnishings. Each home receives a personalized property page with professional photography to generate online reservations. We pride ourselves on delivering a remarkable guest experience. Our experienced team is available 24/7 to answer questions and respond to homeowners and guests when needed. To ensure guests enjoy their vacations, we offer a full range of complimentary concierge services including area recommendations and San Diego attraction ticket coordination. Check out our guest reviews. Learn about the Bluewater experience and compare our vacation rental services to your current provider – email [email protected] or call 800.243.3588.